Why struggle to visit an optometrist when we can fulfil your eye care requirements in the comfort of your own home or office. If you are having difficulty in getting out you still need eye care. 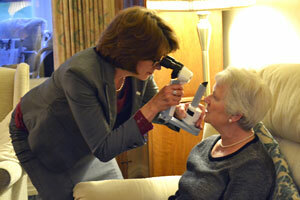 We can carry out your full Eye Examination in your home with our specialist mobile equipment. No compromise, just friendly professional service. We know how busy your working day can be so let us help.We can provide you and your employees with a convenient on-site and flexible eye care service at a time to suit. 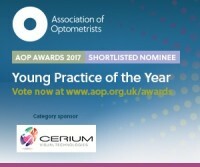 Eyecare Anywhere was shortlisted for a prestigious award – the AOP Awards 2017 – Young Practice of the Year. Your support was much appreciated. It is not always convenient or possible to visit an optician. We understand and appreciate that and this is why we have developed our mobile optometry service. Whether through illness, incapacity or just preference we can provide your eye test in your own home, a family members home, nursing home or day care centre. It‘s never easy finding time even for the important things. But your eyes matter and we can help you find that time with our convenient onsite eye care service. You will have the reassurance of a single point of contact throughout all your care and any treatment or follow up services such as frames or lens prescriptions if required. 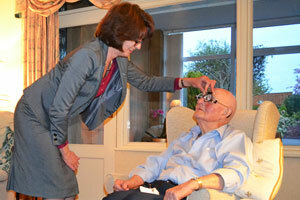 We offer friendly, personal and professional eye care in the comfort of your own home. Barbara Watson has 30 years of optical experience providing the reassurance of a single point of contact for all your eye care needs.